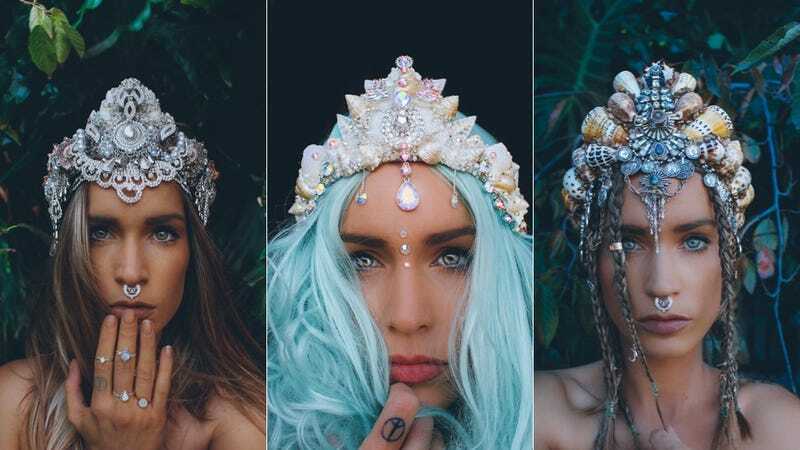 What I really enjoy about Shiels’ mermaid crowns is how they look like they’ve been strung together from found objects: not just shells, but gems, costume jewelry, trinkets, and beads that could have easily found their way to the ocean floor. (Although gathering all those beads would be a chore for crafty mermaids.) Shiels sells her crowns, and while her Etsy shop is often sold out, you can build a crown through her website, or sign up for Etsy updates.